If you want to install the water control gate yourself, but not sure on the procedures and installation method to be used, Call InStream to provide on-site installation supervision. We will conduit the pre-installation meeting on your behalf, explaining to the owners the proposed procedures and schedule. 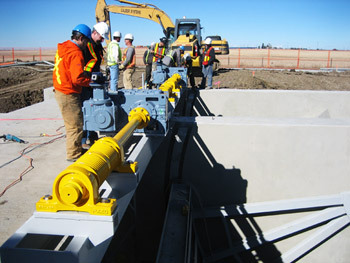 We will provide constant on-site services during the complete gate installation.